Any regulars here will know that I hold Shriekback in pretty high esteem. The band have been fairly active over the years, trickling out an album every 2-5 years [better than most, actually] and of late they have been working the archive action, re-issuing themselves much of their m.i.a. back catalogue. One salient fact has remained. The band had not played live since the very early 90s. “The Sacred City” tour had been their last live gasp. When the band reabsorbed Carl Marsh a few years back, the missing ingredient from the heady “Oil + Gold” period was now ensconced once again in the band. 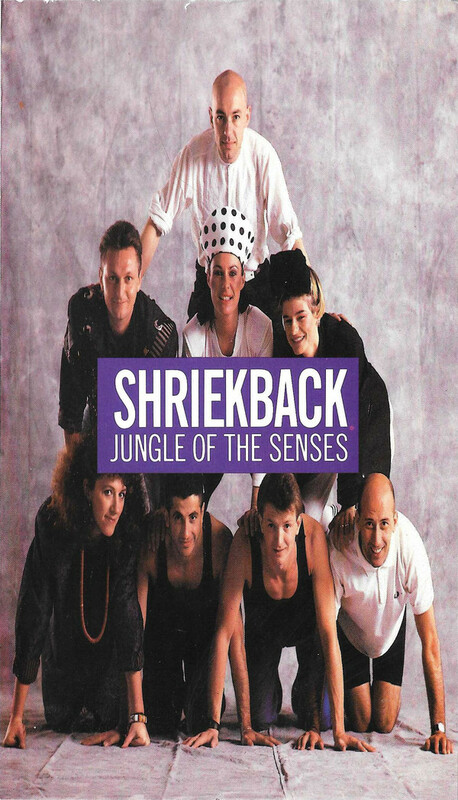 The thought has arose that maybe with an active internet fanbase, Shriekback could one day tread the stages of the world once again? But to do that will take some capital… and capital, might aid us now. While bassmaster Dave Allen has a very active career with Apple Music Artist Relations, he will be sitting the tour out while the bass role will be undertaken by P.I.L.’s Scott Firth. The notion is to have a campaign right now to bankroll the rehearsals and a European tour this year of the above band. The finances necessary have been identified as £35,000 [$43,597]. The thought is that the idea of a world tour will be broken into two phases. The cheaper European leg will be done first, and by the time it’s over, the Shriekback momentum will make it easier to mount the North American/other leg[s]. Carl Marsh reiterates that without the first leg being funded, the second leg will not happen. So fans have the opportunity to tithe some Shrieklove and finally see the band active for the first time in over a generation. Click the graphic below to see their Kickstarter Campaign page. That last one was probably as much as just attending a Shriekback show in Europe would be for me [$4,371], so I’m not surprised that the three slots are history. That also implies that with the three highest pledge levels out of the running, the last 35% remaining to raise will be through smaller price points, and it’s not exactly a sure thing, though it does look promising. I’d like to be able to pledge a £25 level to get that CD, because as they remind us Yanks, unless phase one happens, phase two [N. America] cannot happen. It remains to be seen if the budget can stretch that far, but the spirit is certainly there. 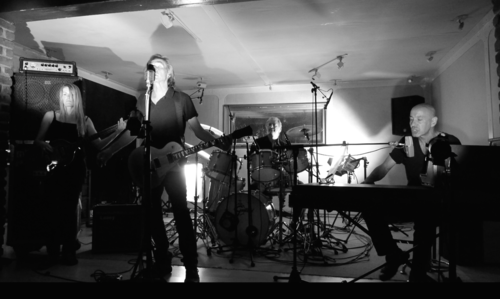 So music fans of a Shriekback persuasion have a task cut out for them: nearly £20,000 in 22 days remain to be raised for anyone to once again see the expansive presence of Shriekback live on stage. If this doesn’t wash, all we have are the PAL VHS tapes of “Jungle Of the Senses” to hint of the majesty. I’ve had my copy for 30 years now and may have to translate this to a DVD for viewing purposes. Until then, there’s the recent Shriekback viddy below to tide us over. This entry was posted in Core Collection, Want List and tagged 2017, crowdsourcing, Live Concerts, Shriekback. Bookmark the permalink. And… too bad they couldn’t lure Dave Allen back into the fold. He’s kinda crucial to the Shriekjuice. You’d think he could get two or three weeks vay-cay from Apple to do a string of gigs. Come on Dave, it’d be fun! This must happen Monk! It will be a great reason for us to come together in musical fellowship and RECORD SHOPPING! Echorich – Is that a promise or a threat? Yeah, don’t expect Shriekback to make it to the Sunshine State. After all, they never did back then. I sense an Atlanta date if anything in the Southeast. And if not that, then the 9:30 beckons once again. Right , i’m pledger 213! Just giving my two cents (35 GBP actually) to sent you all on a shopping spree. Just watched parts of Jungle Of The Senses on Youtube but was a little underwhelmed, expecting something a bit darker than this…Suppose you had to be there! Fred van de Peppel – If you have read Barry Andrews excellent Tumblr posts, this period of Shriekback was its “big showbiz” phase that was about to metastasize into the “Go Bang!” Era shortly afterward. I don’t think that we have to worry about that happening again, but I would expect some joy to be driving this event in any case. I *was* there. The 1987 tour was really great… but the one before it, for Oil and Gold was life-changing! Indeed, most of the Shriek canon is darker, but as the Monk said, this was their moment of relative commercial success and they were milking it.